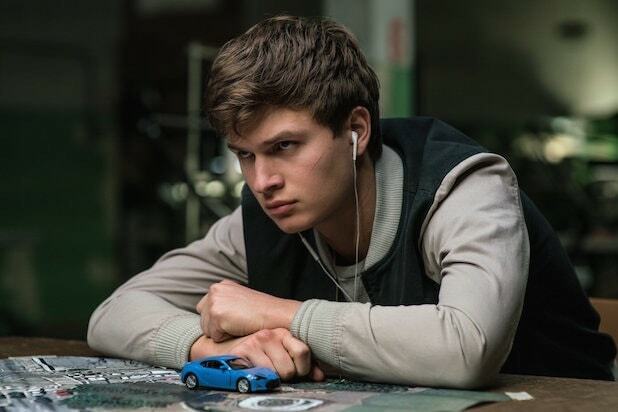 “Baby Driver,” “Dunkirk,” “The Shape of Water,” “Star Wars: The Last Jedi” and “Wonder Woman” have been nominated for the 54th Annual CAS Awards for Outstanding Achievement in Sound Mixing, the Cinema Audio Society announced on Wednesday. In recent years, more than two-thirds of CAS nominees have gone on to receive Oscar nominations in the Best Sound Mixing category. The five nominated films are all strong contenders for the sound-mixing Oscar, though they face competition from “Blade Runner 2049,” “The Greatest Showman,” “War for the Planet of the Apes” and others. The other organization that honors sound, the Motion Picture Sound Editors, does not announce the nominees for its Golden Reel Awards until January 22, the day before Oscar nominations. The 54th Annual CAS Awards will take place on February 24 at the OMNI Los Angeles Hotel. At that ceremony, the Cinema Audio Society Filmmaker Award will go to “Darkest Hour” director Joe Wright, the CAS Career Achievement Award will be given to Anna Behlmer and the Edward J. Greene Award for the Advancement of Sound will go to Tomlinson Holman. The Golden Globes had plenty of celebrities, but the real decision makers -- the buyers, bosses and big shots -- celebrated the big event, too. See what they were up to. 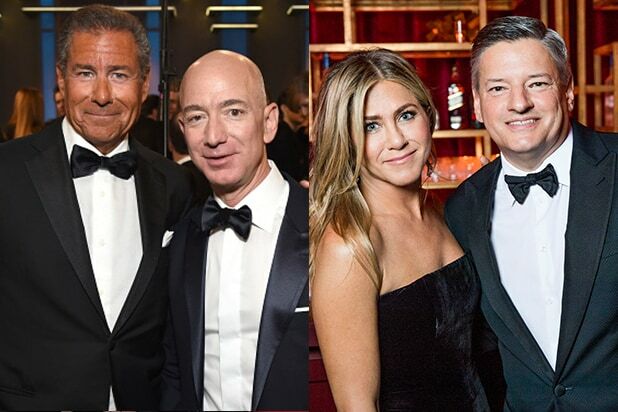 A summit between prestige TV and a titan of our era (who also does prestige TV) as HBO's Richard Plepler and Jeff Bezos linked up on the floor of the Golden Globes ceremony. Ted Sarandos's Netflix also fights in the prestige TV heavyweight division. Jennifer Aniston joined "big red's" party at the Waldorf Astoria after the show. I caught NBC Entertainment Chiefs Bob Greenblatt and Jennifer Salke taking a selfie together on the red carpet. I asked them if we are going to be doing the Golden Globes this early next year, which would be Jan. 6, 2019. "We don't know yet," Salke said. "Good question, good question," Greenblatt added. Stay tuned. Universal Vice Chairman Ron Meyer embraces Warner Bros. Entertainment CEO Kevin Tsujihara at the AFI Awards luncheon on Friday, Jan. 5. Meyer's Focus Features would net one Globe via Gary Oldman's performance in "Darkest Hour." Universal Pictures Chairman Donna Langley (left) and "Darkest Hour" director Joe Wright celebrated the film at an intimate gathering at the Chateau Marmont on Friday night before the show. Leonardo DiCaprio hosted the event. Across the street on Sunset, Showtime President and CEO David Nevins hosted a Globes-eve mixer for their nominees. The hopefuls included William H. Macy, Frankie Shaw and Kyle MacLachlan -- who was nominated for "Twin Peaks" 27 years after he won for the same role back in 1991. Leslie Moonves (left) accepted The Party Report's congratulations on the big return of CBS' "The Amazing Race" at Lynn Hischberg (center) and W Magazine's "Best Performances" party at the Chateau Marmont. "It’s back and the numbers were great,” Moonves said before ducking out with his wife and CBS star Julie Chen. TheWrap's Founder and Editor-in-Chief Sharon Waxman poses with ICM Partners Managing Partner Chris Silbermann at the agency's first ever Globes-eve party at Poppy. On that same night across town at Milk Studios, serial entrepreneur Sean Parker and his wife Alexandra (far right) co-hosted Sean Penn's J/P HRO gala. Emilia Clarke was one of the featured guests. AFI alum and "Wonder Woman" director Patty Jenkins pinch hit for Cicely Tyson by giving the closing toast at Friday's AFI Awards when weather grounded Tyson on the east coast. Here, she shows off her certificate with American Film Institute President and CEO Bob Gazzale. After the Globes on Sunday night, "The Marvelous Mrs. Maisel" Creator/Executive Producer Amy Sherman-Palladino lent her trophy to Amazon Studios' Head of Casting, Donna Rosenstein. Quietly lost in the tenor of the Globes telecast was Hollywood Foreign Press Association president Meher Tatna's on-stage announcement that the org would be donating $2 million to the International Consortium of Investigative Journalists and Committee to Protect Journalists. Here, Tatna (in Anamika Khanna) poses with HBO's talent and publicity wizard, Nancy Lesser. Brian Lourd, MacKenzie Bezos and Jeff Bezos chat at Milk Studios for Sean Penn's event on Saturday night. CAA was one of the sponsors. Sarandos, Netflix's VP of Original Series Cindy Holland, and Jason Bateman have done many of these awards show nights together over the past few years. On another point of the streaming tech giant triopoly, Amazon recruited Mark and Samantha Ronson to play its post-show bash. Attendees included Matt Damon, Amazon Studios' Head of Motion Pictures Jason Ropell, Head of Amazon Studios Albert Cheng and Senior Vice President Jeff Blackburn. "The Handmaid's Tale" producers Warren Littlefield and Bruce Miller, scarily good actress Ann Dowd, Hulu SVP of Content Craig Erwich, and Hulu Chief Content Officer Joel Stillerman enjoyed the drama's second straight awards show victory night. Season two arrives in April. The night before, Miller was the guest of honor at ICM's party. Here, he's flanked by agent Hrishi Desai, ICM Founding Partner Ted Chervin, and Chris von Goetz. "Fargo" Executive Producer John Cameron, EP/Writer/Showrunner/Director Noah Hawley, David Thewlis and Ewan McGregor finally got a much deserved win for Season 3 at the Globes. Without his character's sickening sneer, the villainous Thewlis is barely recognizable.